We’ve opened two new satellite offices, expanding our operations to Halifax and Chicago to better serve our growing Canadian and U.S. clients. 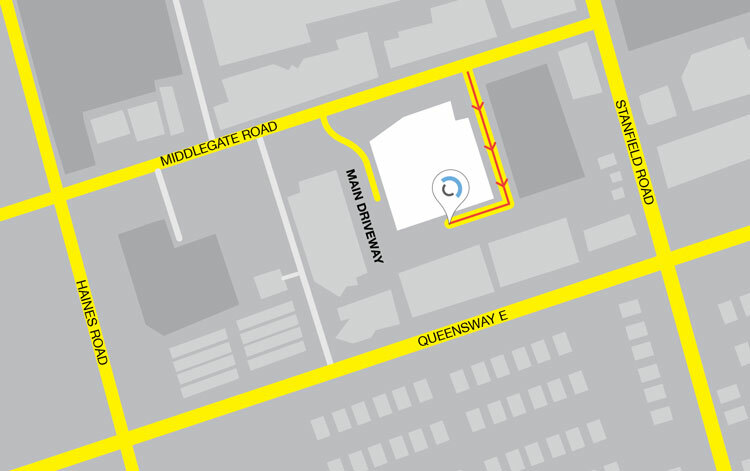 For easiest access to our entrance, please use the building driveway that is closest to Stanfield Road. Do you have a current or upcoming project with an acoustic, noise or vibration issue? We’d love to hear about it (no pun intended). Together, we can come up with an innovative, workable solution. To learn how we are complying with the Accessibility for Ontarians with Disabilities Act (AODA), download the Aercoustics Accessibility Policy.